Discussion in 'Official News & Announcements' started by MightyZug, Sep 19, 2017. The 1.5.0 update is now LIVE! 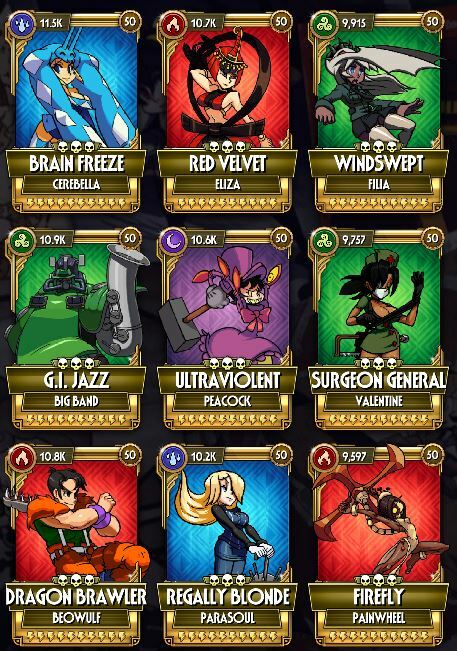 As promised, Skullgirls now officially supports Android OS 8.0 - thanks for your patience! 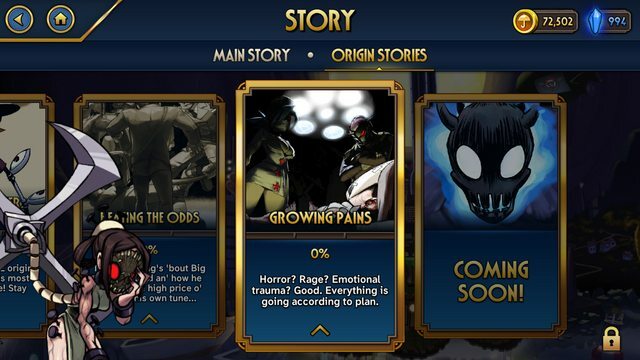 Origin Stories are NOT EASY, especially in Advanced and Expert mode. Get ready for a challenge! UP NEXT: Valentine, Cerebella and many more! We’re excited to announce NINE NEW GOLD FIGHTERS to add to your collection! With this set of Fighters, we wanted to add more tactical variety to the way you build and use your Fighters, including providing tools to help counter some of the more prevalent Fighters you’ll encounter in more end-game content. Overviews of each of the new Fighters below (using SPOILER tags to ensure the page loads quickly for those on mobile connections). NOTE: Each of these Fighters is at max level with their Skill Trees (and thus Signature Abilities) maxed out. SPECIAL NEW GOLD FIGHTER PRIZE FIGHT! 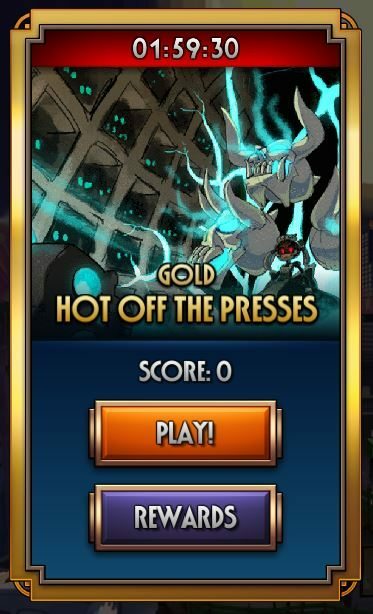 We will be releasing a new HOT OFF THE PRESSES Prize Fight (currently planned for Monday Oct 2nd, the final date will depend on our final release date) that will grant the top 10% of players a Newly Minted Relic, which will GUARANTEE ONE of the nine new Fighters above! Let us know what you think of the new Fighters! Ever wanted to know how close you were to closing out a particular Mission? You’re in luck! Fixed bug where energy cooldowns might be set incorrectly for characters when starting the game up if the characters have energy cooldown nodes purchased. As always, please share your feedback about what changes you like, and what you’d like for us to add next. We’re listening! Nuitat, Daikodugo, LemonTea27 and 8 others like this. I am sad that one of the things I wanted isn't listed yet. That being the move preview and move selling when obtained. The limit increase on move selling is great. Also the change on Val's L5 is good for her as well. Hermech_Crab, Zenon and Ryouhi like this. Also, how does Brain Freeze Cerebella work? She seems to be the strongest out of the new gold characters. 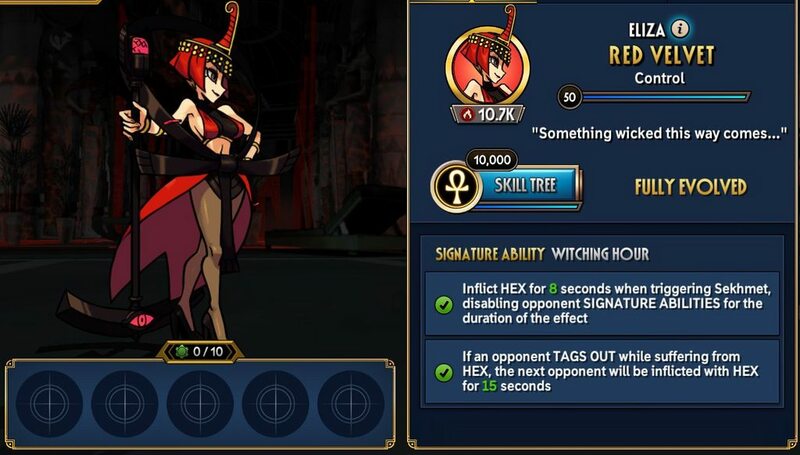 Does her signature ability mean she will gain 3% of current health in attack damage, so therefore she will gain 3% x 100% of current health at start of fight, meaning she has 300% attack damage at the start of the fight? She is basically 300% stronger than any gold character it seems :3 :3 :3 Looking forward to trying to get her. 3%*100% is not 300%. 3%=0.03, 100%=1. 1*0.03=0.03. If your health is, say, 10000, then at the beginning of the fight her attacks will be increased by 10000*0.03, or 300. Evangelionlovr and Snow like this. My Harlequin has around 30k health so it seems to be an increase in attack damage of 900. That makes so much more sense ty! Doesn't seem as broken as I thought it would be! Kind of hoping for the Ultraviolet Peacock, the Dragon Brawler Beowulf or the Brain freeze cerebella ^_^. The GI Jazzy big band also looks very unique so hoping to get him too! How good is new golds? Valentine looks cool. Y'all ignoring the best thing ever. Tujae, Dalton_IGuess, CircusBot and 2 others like this. Looking forward to yet another amazing update. Still hoping the next one will add Ms. Fortune as a playable character. I can already tell Surgeon General, Brain Freeze, and Windswept are gonna be the most fun out of the rest because of their signature abilities. 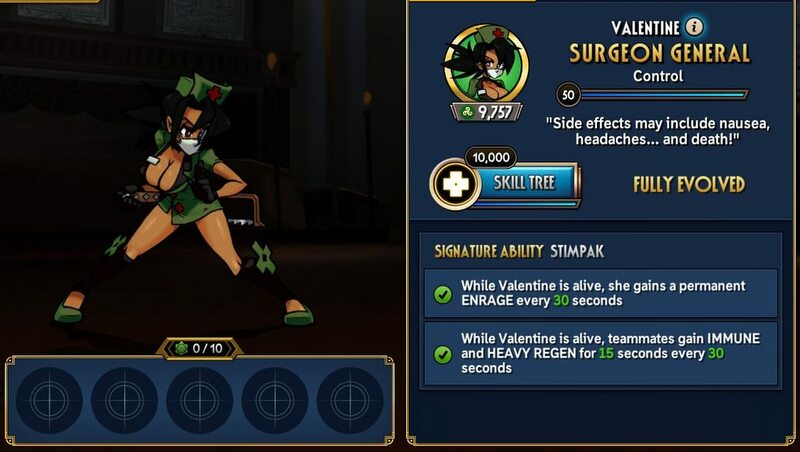 Surgeon General - permanent Enrage every 30 seconds as well as team wide heal + immune is gonna make her a solid support and an amazing damage dealer the longer the fight goes. No doubt she’ll be one of the best, if not the best Valentine up to date. Brain Freeze - bonus damage from building a lot of HP% as well as a solid defensive ability against attacks that hit higher than 35 combo. We’ll definitely be seeing her a lot in PF. 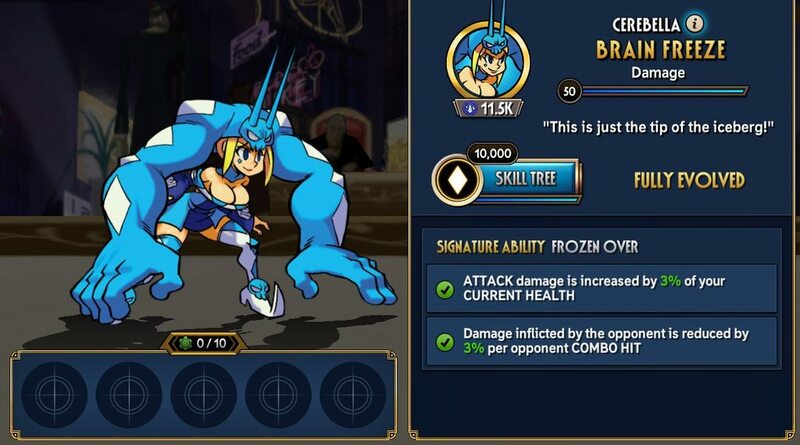 She’ll likely be competing with Harlequin for being the best Cerebella. Windswept - the first Filia to make use of her evade character ability. Looks like her SA encourages a more fun, high risk and high reward playstyle for Filia. She’ll definitely give projectile heavy characters a run for their money. Definitely going to be the 2nd best Filia next to Parasite Weave. Firefly, G.I. Jazz, and Ultraviolent might not be as fun as the ones mentioned above, but at least their SA looks reliable and useful enough. Firefly - the first Painwheel to have a self heal. And looks like a strong self heal when she’s at critical health. She’ll likely be the 3rd or 4th best Painwheel. G.I. 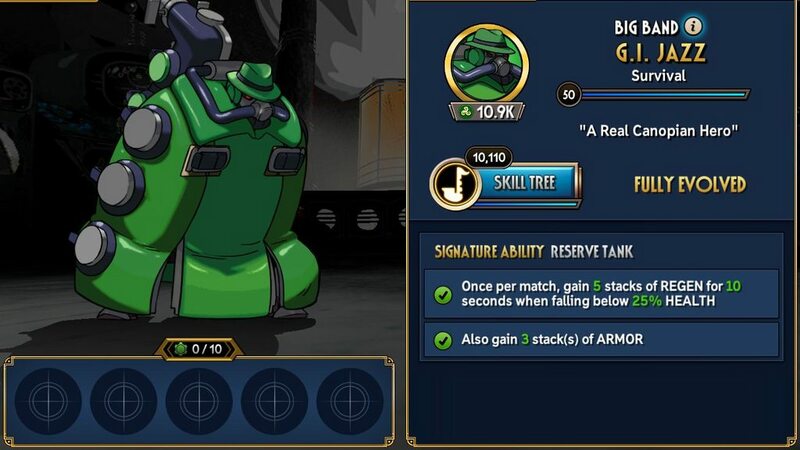 Jazz - his tanky nature will definitely allow him to survive multiple BB3s in a fight, even though it looks a bit boring, but at least it’s reliable. 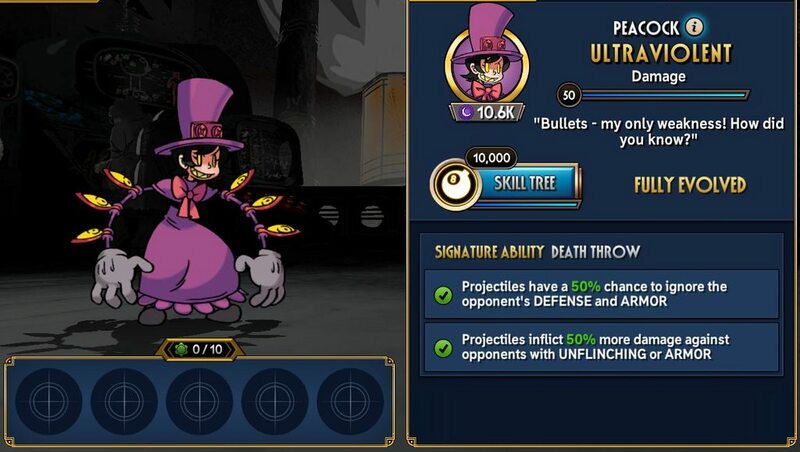 Ultraviolent - she’ll turn out to be a reliable counter against defensive fighters like Armed Forces and Untouchable. But even against everyone else her projectile attacks have a decent chance of ignoring defence. She’s going to challenge Untouchable for the #1 spot. Kinda worried about Red Velvet, Regally Blonde, and Dragon Brawler. Their SA just doesn’t look fun or reliable enough in most cases. Red Velvet - Hex seems to be a really cool new debuff. But ultimately it’s rarely useful since only a few fighters have annoying enough SAs that would make fighting them easier when you turn off their SA. Her second part that needs the opponent to tag out is gonna be completely useless most of the time. I predict she’ll be the worst Eliza next to Decrypted. 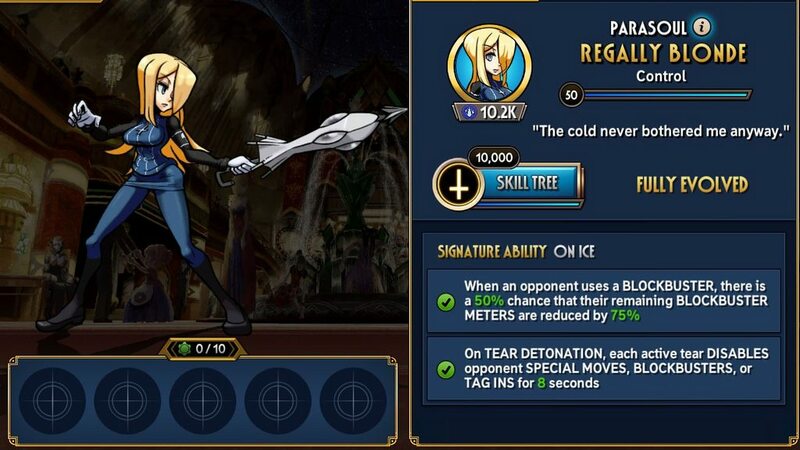 Regally Blonde - her SA looks like No Egrets, Ivy League, and RNG got together and had a baby. Doesn’t seem reliable enough when a lot of it is left to RNG. Likely she’ll be the 3rd or 4th best Parasoul. 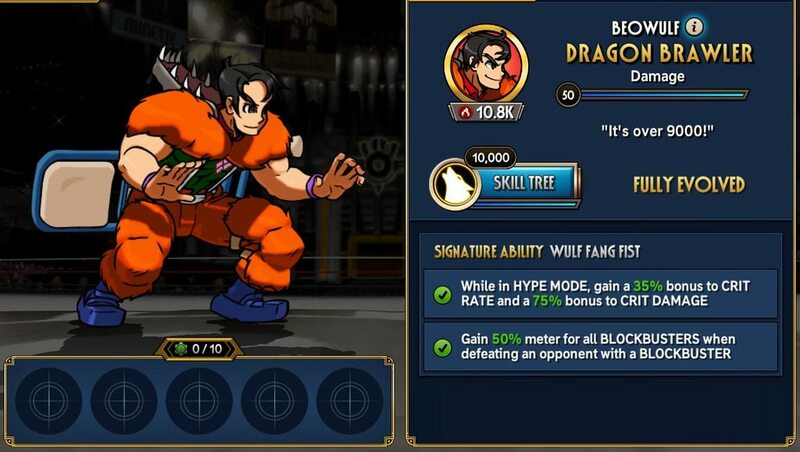 Dragon Baller - not a fan of a crit-based Beowulf since his entire kit revolves around, and encourages the use of throws, which can never crit. Also his SA2 is just an inferior version of Robocopy’s SA2. Maybe he’ll be the 3rd or 4th best Beowulf. These are my preliminary thoughts about the 9 new gold fighters. I’ll update the tier lists according to how they’ll impact the current meta when they hit the streets. Shawesome, Snow and Ryouhi like this. Ignore opponent ability is powerfull. It is similar to silence in card games. Even if it is week rigth now, the longer game will be developed, the stronger it will became. Personally being a critic fiend myself (Thank you, KH:358...) I feel like the ability is meant to keep him focused on using the rest of his basic combos and blockbusters to outright destroy the opponent and then kill with a blockbuster for added bonus. The damage typing also gives me the idea that most likely DB is meant to be a frontliner so you have more of a chance of surviving through pure onslaught with that 35% crit rate. Hype man lets you build up meter for teammates when keeping hype mode maxed, while also draining the opponents BB meter IN hype mode. Cold stones gives stun on those throws and causes bonus damage to those stunned opponents. And that's Beowulf's answer to it. Pure damage at the cost of relying on his basic combo and crit rate / damage output and if you can't handle the hype, you'd better have someone who could pick out what he can't! Still, I'm really excited to participate in this new event...! I may not get to the top, but hey, we all gotta start somewhere right? TRIX, Shawesome and moisterrific like this. New Golds look, for the most part, hella fun. Aside from that lots of neat fixes and Quality of Life improvements. 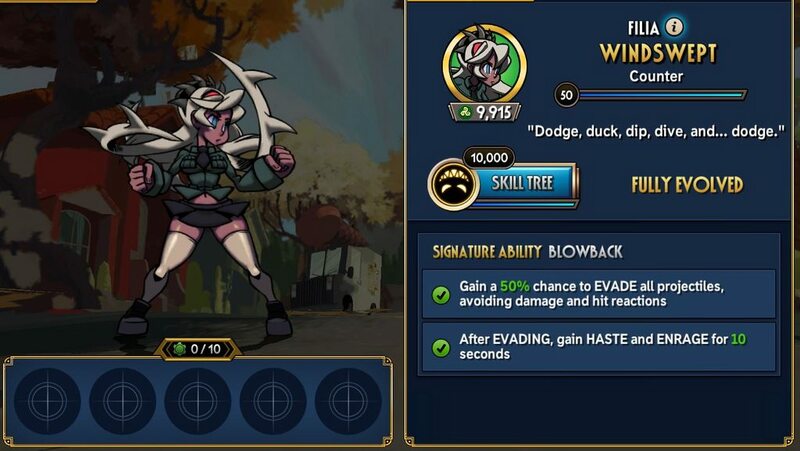 Though like Moist said, hopefully we'll get Ms. Fortune sooner rather than later! MightyZug and moisterrific like this. I agree with most of this. Red Velvet to me seems like she was just invented to hard counter annoying **** like Armed Forces, RE, Brain Freeze and stuff that revives. While this is good in theory I fear that making characters specifically to counter stuff that most think is OP or strong is how you fall into power creep. I only say this because it has happened to a few games I've played in the past. I feel like there is a more creative way to provide counters to these types of characters rather than shutting down their SA completely. Similar to Peashooter granting armor break, Silent Kill purging benefits etc. Regally looks alright but like you said, unreliable. I like the idea of shutting stuff off but I can't help the feeling that she's just a stat-buffed No Egrets. She, like Red Velvet, seems to be made to counter stuff like Supercharged modifier, when to me that seems too niche and I would rather see Supercharged fixed than have to run her every time I want to avoid that. Unless she has really good stats or something I feel like she is very situational as more reliable golds will kill their opponent before BBs become an issue in the first place, making her only great use for Painwheel PFs. Love the Pallet though, which only makes me more saddened that her ability is so niche. I would love to use her all the time because of how great she looks. Dragon Baller seems like his SA should go to another character. It's good in theory but not for a throw based fighter. Half his BBs and his best SM don't benefit from his SA and the hype mode activation aspect of it seems like a nerf considering ALL the benefits of Hype mode are tied to throws; which don't crit. Honestly I feel like his SA and the new Painwheel's SA should be swapped and they would be more appropriate for each character. As is, it appears that he will be by far the most inferior of all the new fighters. Also if Robocopy (a silver) has 50% meter gain for just killing I don't think a Gold should be given the added restriction of having to use a BB to get the same benefit. Other than those three though, the only problem I have is with new Bella. 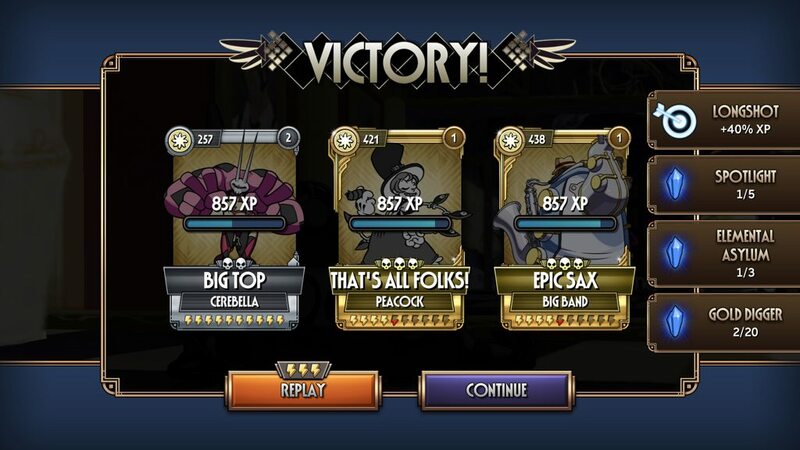 If Epic sax was OP when his restriction on combo damage increase was 100% how can Bella not be OP when she doesn't even have a restriction? I think if you give her the same restriction that Epic has now (max the decreased damage at 50%) it would make her a LOT more balanced while still keeping her as a very strong fighter. Should add that other than the 3 I mentioned, the other ones look DOPE. Good work Devs, I can't wait to get my hands on one or multiple of these guys. VAL FINALLY GOT SOME JUSTICE!!! Tujae and TRIX like this. Also not sure how I feel about firefly painwheel. She usually dies in one combo anyway so I don't think I will be blocking when below 50% health :3 Maybe if I can stack defense or something and HP, might be usable. Throws, as of now, do not crit. Exaclty my point as to why I think simply swapping their SAs would be a great fix. 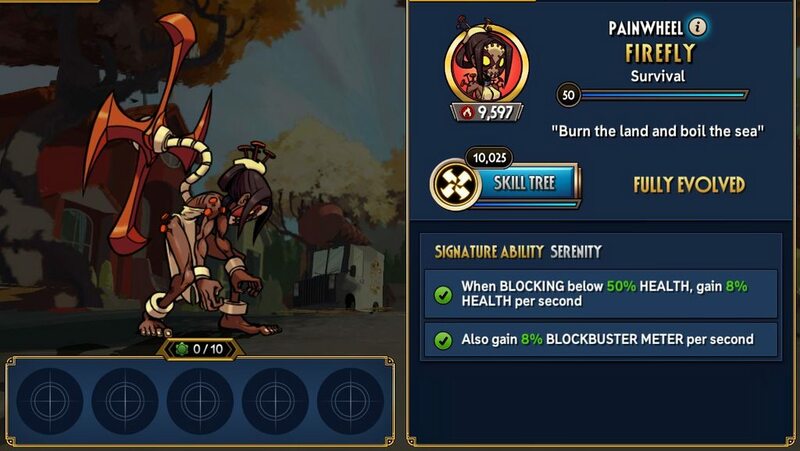 Beo has the health to withstand a combo that would take him below 50% without killing him and Painwheel would benefit more from the Crit boost. I'd definitely agree with this! Considering you're merely just playing without his throws makes him more or less restricted in terms of usage. Carol would definitely be fine with the crit work since she barely could handle a lot what with having the smallest amount of HP.